Dutch Home Furniture offers the most extensive collection of handcrafted Amish furniture in Delaware. We have a huge selection of indoor and outdoor furniture to choose from. Our solid hardwood furniture lines give way to many different styles, finishing options, and custom color choices. Our store is located in Middletown, DE, where we showcase a full line of living room, dining room, bedroom, home office, occasional, cedar chests, and outdoor furniture. One of our most recent collections is our barn wood furniture, where we turn old, reclaimed barn wood into stunning furniture pieces! If you are looking for timeless, well-built hardwood furniture that will add both beauty and style to your home for years to come, contact Dutch Home Furniture or stop by our showroom today! Almost all the furniture on this website and in our Delaware store is manufactured by Amish craftsmen. Amish craftsmen are some of the finest artisans in the country. Their devotion to quality products is handed down from generation to generation. 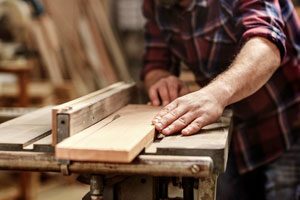 Our quality built furniture is made to last decades and uses only solid hardwoods like maple, oak and cherry. We do not use particle board or laminates. Every piece of wood is hand selected to match the requirements of the finished furniture piece in mind. Attention is paid to the grain of the wood, not only in gluing pieces together, but also in the finished look of the product. Lancaster County furniture is increasing in popularity in recent years. Three popular styles are Mission, Shaker and Country. Mission is characterized by straight lines and exposed joinery. The Shaker style is plain yet elegant and designed for durability and functionality. Country style is where traditional furniture meets the simplicity of country living. 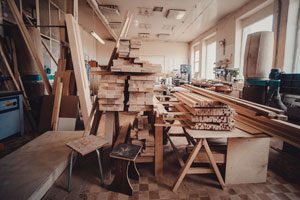 Much like their simple lifestyle, Amish woodworking is a trade that is passed down from generation to generation with very little allowance for change or adaptation to modern methods. The art of genuine hand made furniture is not a dying art and is some of the most sought after furniture for homes because of it’s lasting beauty and durability.